A while ago I created a computer-generated Hanjie puzzle. I didn’t get much response from you folks, but lets try again. The rules are same as for your ordinary Hanjies. The only difference is that randomly generated Hanjie puzzles have a random pattern as the solution, it’s not an image of anything (unless your imagination is really inspired). If you show interest in these I might start posting them more often. 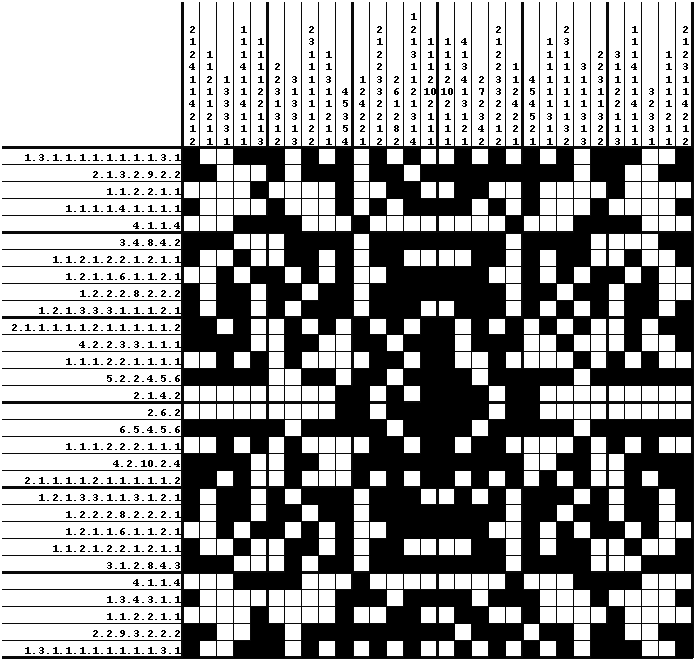 Oh, just to make things clear: The Hanjie puzzles in all my Picross, Hanjie, Griddlers, Nonograms books ARE HAND-MADE. 🙂 Picross 30×30 for Monday, March 11, 2010. This entry was posted in Free sample puzzles, Picross and tagged BOOK, books, griddlers, hanjie, nonograms, Picross, rules. Bookmark the permalink. Post a comment or leave a trackback: Trackback URL. I’ve never done Hanjie before, ordinary or otherwise, so I wouldn’t/don’t know what the rules are. Could you provide them when you provide the puzzle (like you do with Samurai Sudoku) so I’ll know what I’m expected to do? Late to the party, but I disagree with Christine. 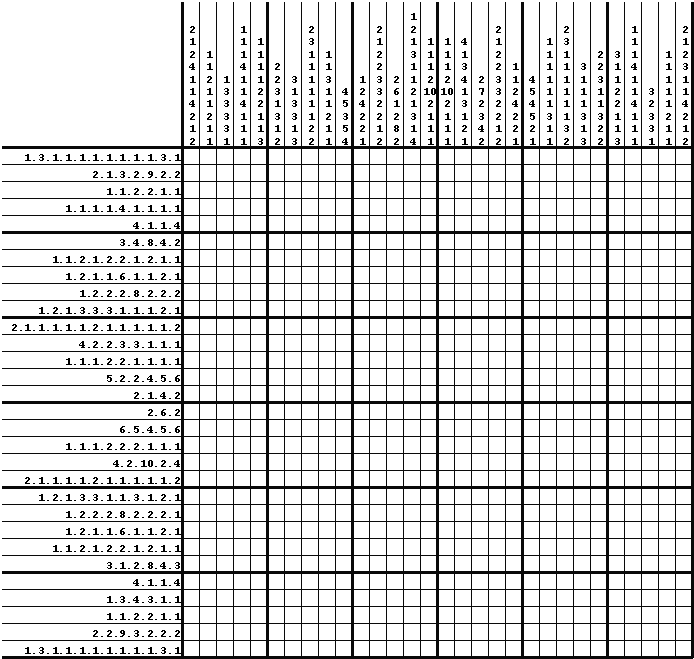 The beauty of Hanjie is that the grid forms a picture at the end. However, the beauty is lost here with a random pattern that means nothing. If you want random patterns, go to a site that specializes in that. There’s no need to stoop to what I consider such a low level here. Having random patterns removes the beauty of the puzzle.